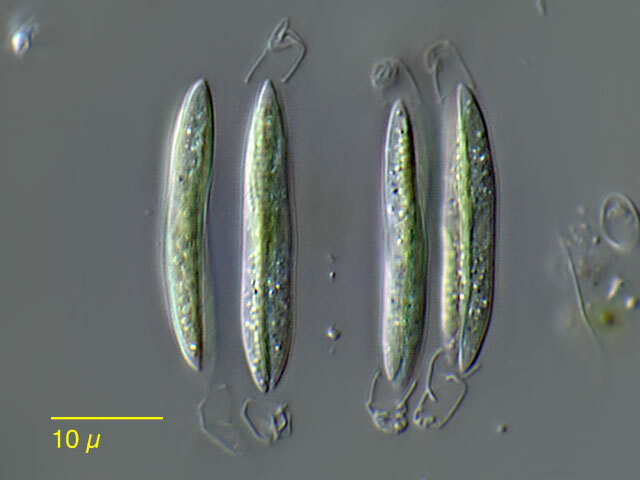 Quadrigula closteroides, the cells are grouped in 4,8, 16 or 32 and are orientated parallel to each other. 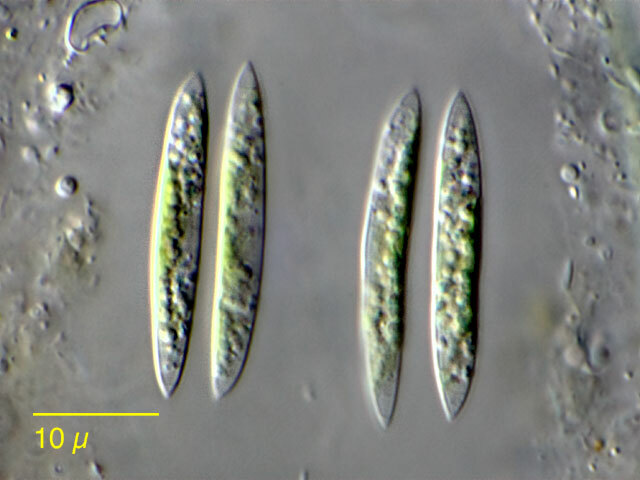 The are ebedded in a mucilaginous sheath. Quadrigula closteroides, the transparent sheath is distinct from the surrounding detritus. 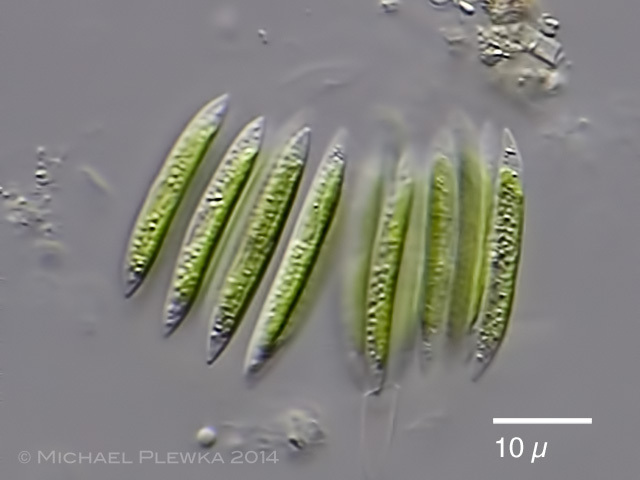 Quadrigula closteroides, when the cells divide remnants of the sheath of the mother cell are visible which then will transform into mucus.